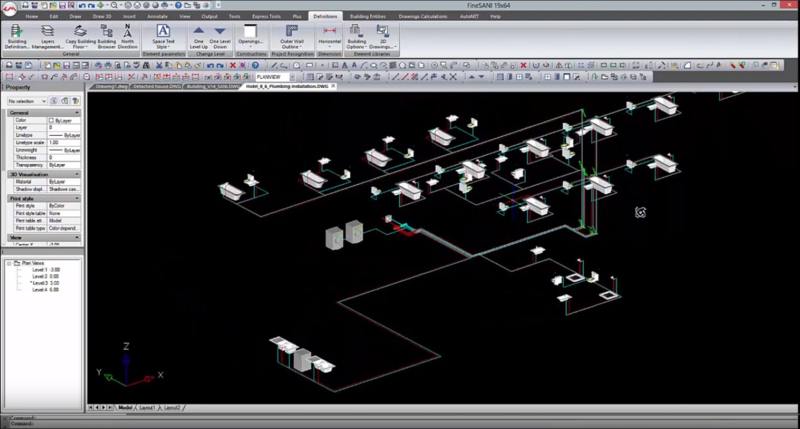 In Fine SANI you can create your BIM project in 2D or 3D using very simple 2D commands very familiar to any CAD user like polylines, trim, extend, entity snaps, copy... Fine SANI combines a state-of-the-art BIM technology and an AutoCAD-like look and feel to help you to draw your project and networks faster and easier. 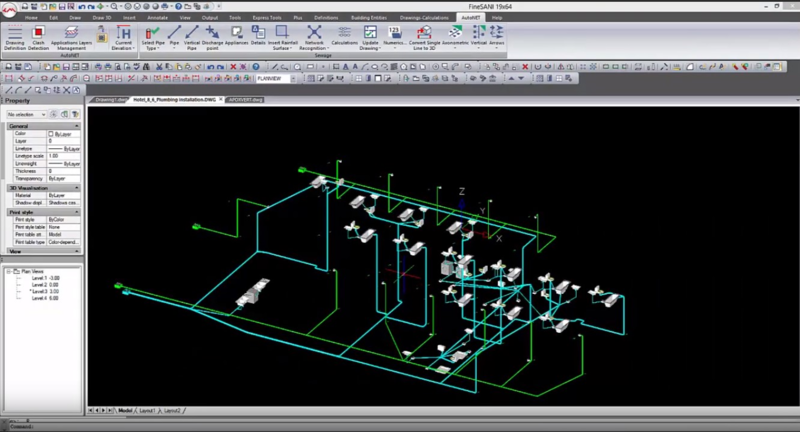 Fine SANI includes all the tools you need to draw the building in 2D or 3D but if you don't need it you can simply insert a 2D DWG drawing of the floor plan to use it as a background and focus on the plumbing installation. You can also use our CAD features to quickly draw some walls. 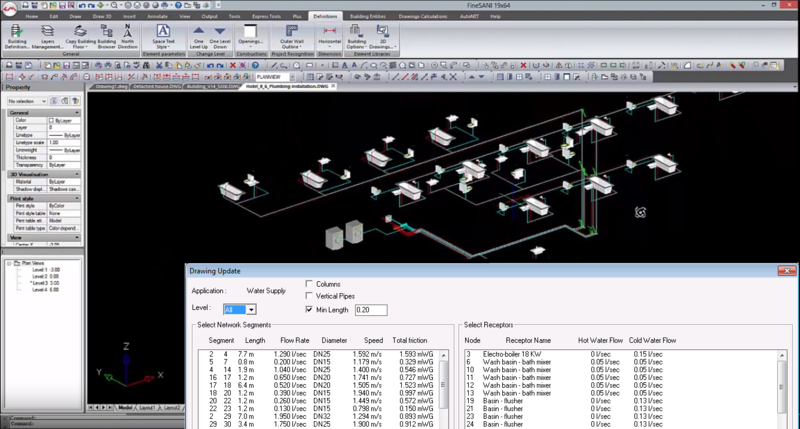 Unlike other BIM Plumbing Software, Fine SANI is producing files directly in DWG and includes features to convert the sophisticated BIM objects that can't be seen in CAD software into simple vectors that can be further edited in AutoCAD®. Sharing 2D or 3D files with other professionals is therefore much easier. Unlike in other BIM software, Fine SANI's modern BIM technology does not come at the expense of speed, it is just the opposite : you just need to draw a few single lines and the software will do the rest. Fine SANI's Calculation module is closely interacting with the installation drawing. Calculations are performed following the widely accepted DIN 1988 standard. The calculations Components (Water Supply and Sewerage - the latter including also the rain water ducts) are automatically updated from the installation drawings through the AutoNET group of commands. The networks are recognized and transferred into the calculation sheets. Calculations rely on a rich Methodological background, based on International and European standards. You may also modify these data if you want for example to anticipate a future extension of the network.